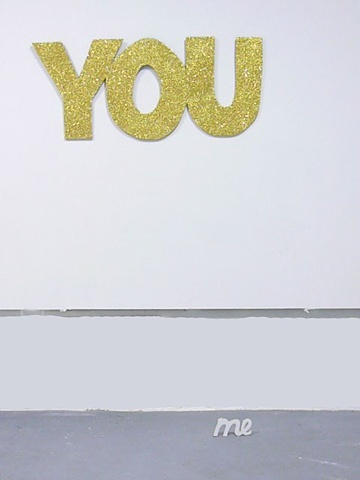 A big, gold, glittery "you" begs recognition but by whom? Is the "you" me or is it you? This is a pivotal piece in my research and work. For all that language offers us, there are still many aspects that it cannot fulfill.